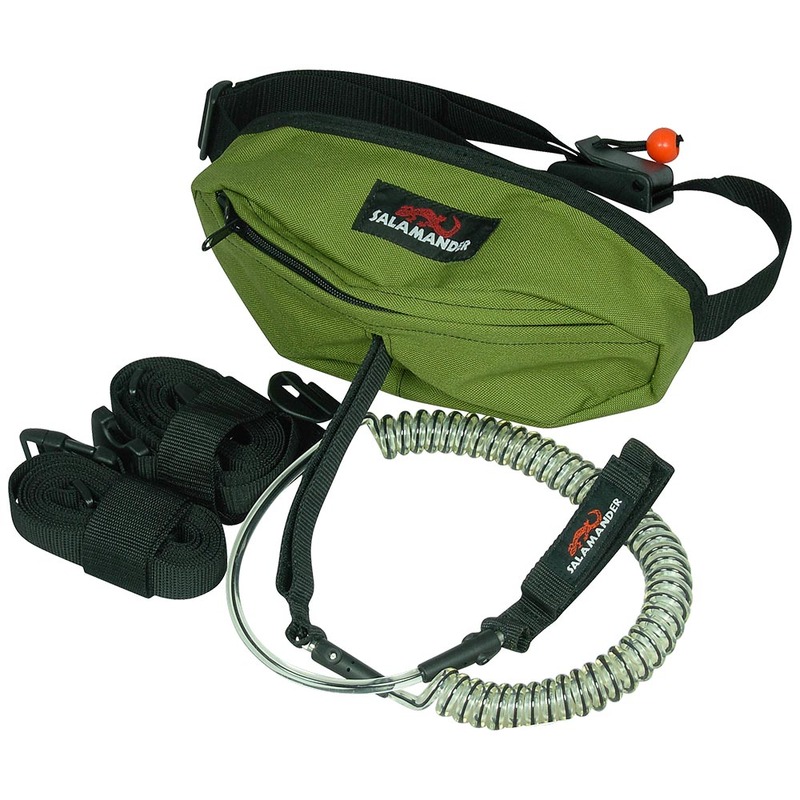 The waist-worn SUP Leash Bag comes complete with coiled leash and carry straps that stow away when not in use. Ideal for Stand Up Paddle boarding on rivers where safety is paramount. Quick release buckle with panic knob allows for lightning quick separation of bag/leash system should a situation arise. Leash features an energy absorbing break-away mechanism with adjustable tabs to dial-in release tension and has a maximum stretch length of 10'. Carry straps attach quickly to both sides of the bag which serves as a padded shoulder harness for transporting the board in comfort. Paddle attaches directly to straps with velcro loops for hands free transport. The bag is large enough to pack snacks, cameras, iPods and other personal goodies to make a day on the water a success! Bag: L10" x H4" x D3"